Online safety is becoming more and more important these days, especially for elderly people who receive The Grand Strand part-time care. Malicious people on the Internet often target seniors because they tend to be less knowledgeable about technology. Here are a few ways you can keep your elderly loved one safe while he or she uses the Internet. Some of the biggest problems seniors face online are malicious sites that tell them they need to download specific software to use the website. 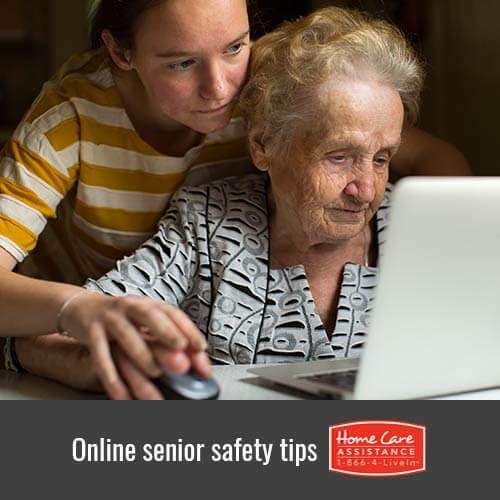 While teaching your elderly loved one about Internet safety, emphasize how dangerous it is to download software, which could be a virus or spyware that steals personal information. Many scams that target the elderly are sent through emails, which may promise free gifts if the person clicks on a link or downloads an attachment. A good spam filter can prevent your elderly loved one from being tricked by sketchy emails. Scammers often target seniors with messages asking them to donate money to fictitious charities and organizations. Encourage seniors to research the charity and talk to you before they start sending money to a random person online. 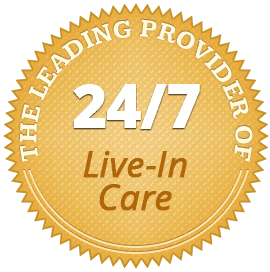 If you can’t monitor your loved one’s online activities, enlist the help of The Grand Strand home care providers. A password that is easily guessed can lead to theft of personal and financial information. Work with your loved one to create a password with numbers, special characters, and both upper and lowercase letters. To help your loved one remember their password, write it down and store it in a secure location like an address book or filing cabinet that he or she has easy access to. Teach your senior loved one to look out for untrustworthy websites, which may mimic a real website but have a different address, and help them to realize that the anonymity of the Internet can attract dishonest people. Even viable websites may harbor dishonest people looking to con unsuspecting seniors, which is why it’s important that your loved one protects his or her privacy while online. Family members can’t be everywhere at once, which can make monitoring your loved one’s online safety a bit of a challenge. With help from Home Care Assistance, your loved one will receive assistance from highly trained professionals to make daily tasks like surfing the web and housekeeping a breeze. We also provide comprehensive Alzheimer’s, Parkinson’s, and The Grand Strand in-home stroke care to help seniors manage these and other illnesses in the comfort of home. Schedule a free consultation today when you call (843) 353-3105 and speak with an experienced Care Manager.